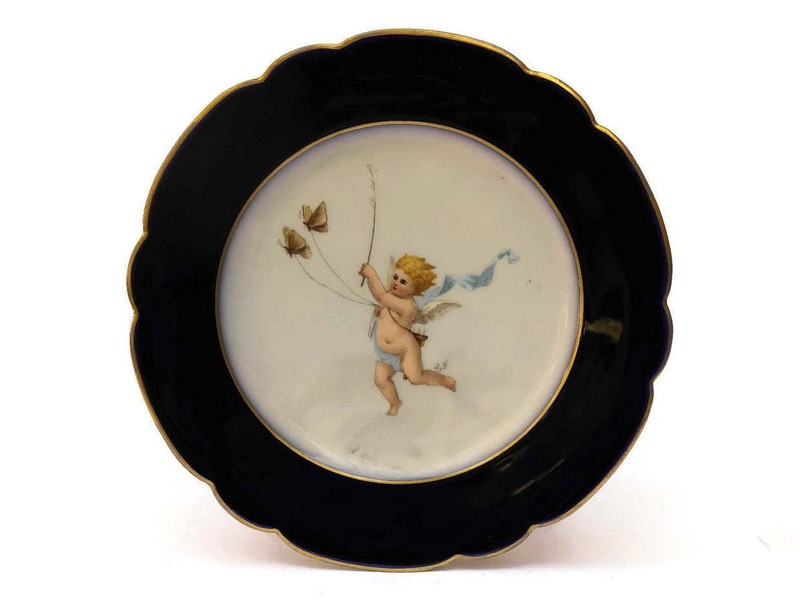 19th Century Antique French Porcelain Cabinet Plate with Hand Painted Cherub. 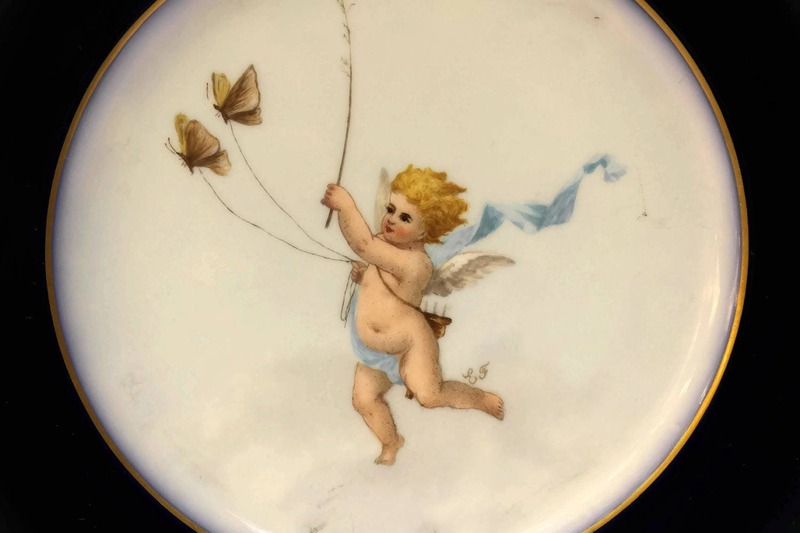 An exquisite antique French porcelain cabinet plate dating to the 1800s. 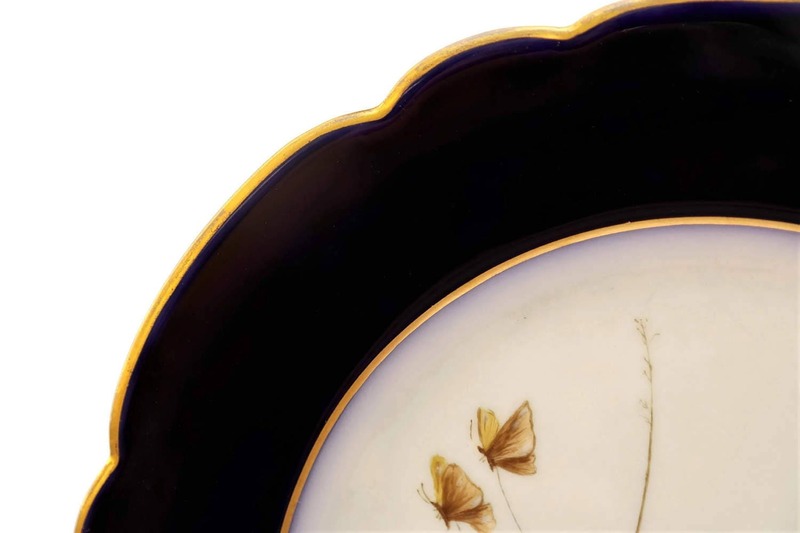 The boarders have been glazed in a shade of deep cobalt blue with gold highlights around the center and scalloped edges. 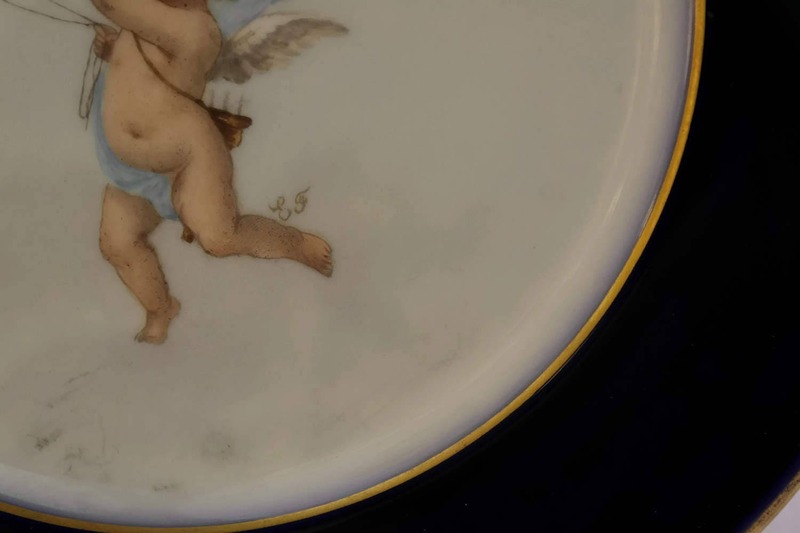 The plate features a central medallion hand painted with a charming portrait of a cherub playing with a ladybug. The illustration has been signed with the monogram initials E.F. The underside has no visible manufacture's stamp. 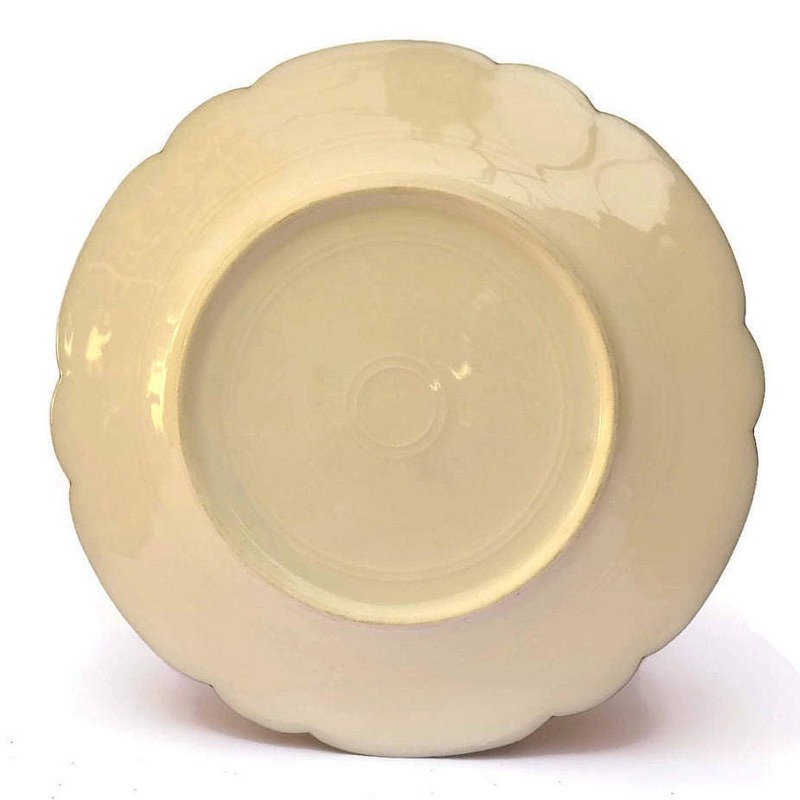 The antique cabinet plate is in very good condition with no chips, cracks or restoration.